This entry was posted in pistol, rifle, weapon and tagged 9x19, Luger, Mosin, russian, sniper, WW2. Bookmark the permalink. 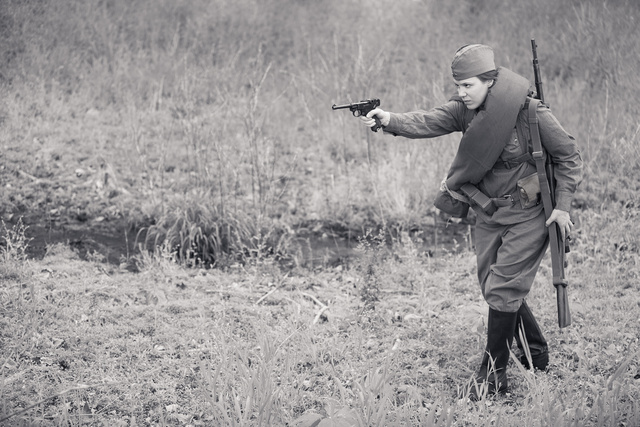 I’ll bet she got the P-08 Luger off a dead German officer! I wrote a series of short stories set in 1946, the year after WWII, about women going through the turmoil. I did some research about women in the French Resistance. Hell Hath No Fury, in spades. Too sleek, too clean to look realistic. Not sure also if sharpshooters didn’t have more camo. Definitely too clean..
Unpossible! Everyone KNOWS that Women can’t handle those Big Guns! Joe Biden said so! Women’s First Handgun” class through our community education program. It was a what-to-look-for program, with a couple of class hours (nomenclature, safety rules, the secrets gun folks forget to tell you, etc.) and a couple of hours shooting a variety of different handguns. With zero experience the ladies shot .22LR, .380ACP, 9mm, .38SPL, .44SPL, .45ACP, and .357MAG. After I demonstrated .44MAG with my Dan Wesson, four of the six decided to try, and successfully fired it. Never fired anything above. 357, it’s even illegal in some places, handguns of above 1000J..
One of the ladies did say she appreciated the opportunity for bragging rights; when she saw one on TV she could justifiably claim to have fired one. But she didn’t need to repeat the experience. I am interested in the procedure you use to set up a class like you describe. I am an NRA instructor. I taught handguns and home defense for several years. 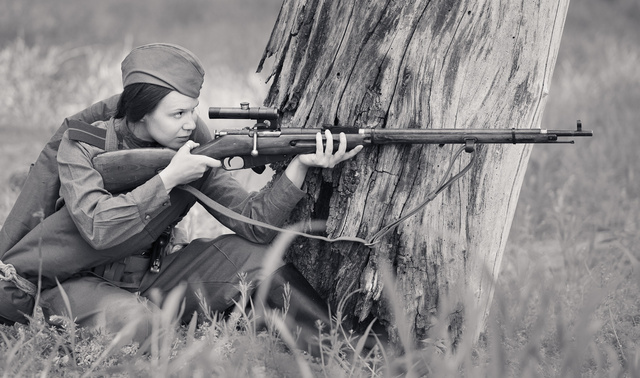 The most rewarding part of instruction was the women only class called ‘Women On Target’. We had many women come to the one-day class who had never touched a gun before aand some that were afraid of them and wanted to overcome it. Sadly, the school I was working with has ceased to exist. I miss the classroom time as much as the range time.